These two factors mainly decide the characteristics of a state and predict what the nature of a state would be in desired conditions. Adding further these two factors are also responsible for the formation and existence of solids. The forces acting between constituent particles of matter within a solid are called intermolecular forces. The main role of intermolecular forces is to keep the particles of matter; it may be atoms, molecules or ions together and close to each other. 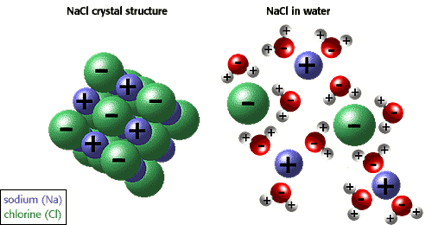 Image 2: NaCl or common salt remains in a solid state at low temperature, when we dissolve it in a certain solution the ions tend to dissociate. Thermal Energy is defined as the energy possessed by the particles of matter due to their movement.Thermal energy increases with rising temperature and tends to move the particles faster. Unlike from intermolecular forces, thermal energy leans on moving the particles of matter far from each other. Solid State is generally characterized by rigidity, mechanical strength, and incompressibility due to close packing of constituent particles of matter (atoms, molecules or ions). 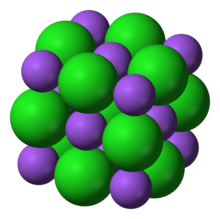 The atoms, molecules or ions are held together by strong forces of nature which adhere them to occupy fixed positions (called lattice sites) in the solid lattice. At molecular level solid state is basically an arrangement of constituent particles of matter (atoms, molecules or ions) in a three-dimensional structure called lattice. The particles are not free to move inside the lattice. When we alter physical conditions like pressure and temperature, the particles tend to change their arrangement and thus we find the change in solid state. The conclusion drawn is general characteristics of a solid widely depend on position and alteration of particles of constituent particles ( atoms, molecules or ions). How formation of a solid takes place? The formation of a solid occurs at low temperature and depends on two factors namely; Intermolecular forces and Thermal Energy. At low temperature the thermal energy is low and intermolecular forces are high, this aligns the particles of matter to remain stable and oscillate about their mean positions only. So, the particles of matter can’t escape the solid and keep on oscillating about their mean position. Hence formations of solids take place. 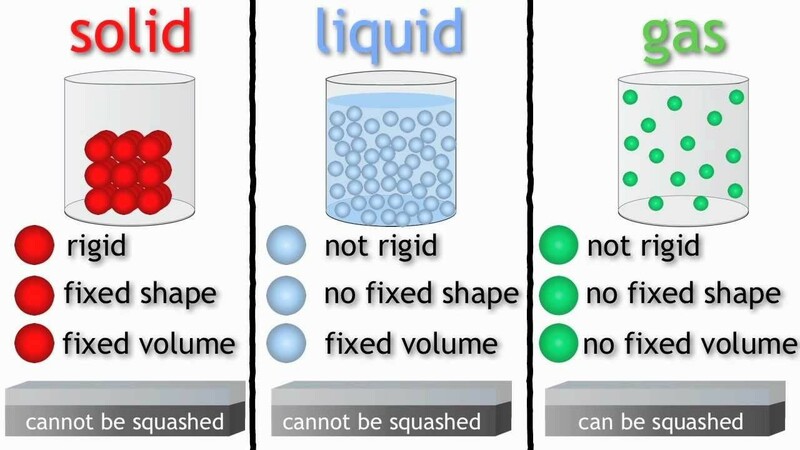 Solids have definite mass, volume, and shape because the constituent particles of matter are held together by strong intermolecular forces. At low temperature the intermolecular force tends to dominate the thermal energy, the solids remain in the fixed state. Example: Ice cube at low temperature remains in the solid state, but when we alter the physical conditions we find the ice to either melt or evaporate away. The intermolecular distance between constituent particles of matter in a solid is short due to tight close packing. The atoms and molecules are held close together by strong intermolecular forces. Example: The intermolecular distance of solid is typical of the order 0.3 × 10-9 m.
In solids the intermolecular forces are quite strong; this is because of the closeness of constituent particles of matter. The variation in intermolecular forces depicts why solids behave differently than liquids and gases. 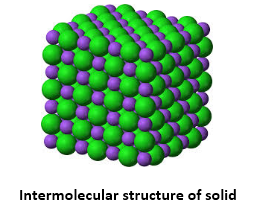 As formation and existence of solids are possible only at low temperatures, the intermolecular forces are high enough to keep the atoms and molecules in a solid fixed at their positions. Also, the thermal energy is quite less and can only make atoms and molecules oscillate at their positions. Solids are rigid and incompressible in nature due to strong intermolecular forces acting on particles which keep them fixed on their positions. Example: Wood, Metals etc. are all kinds of incompressible solids.